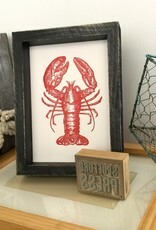 What you are looking at is a letterpress print with a very deep impression! 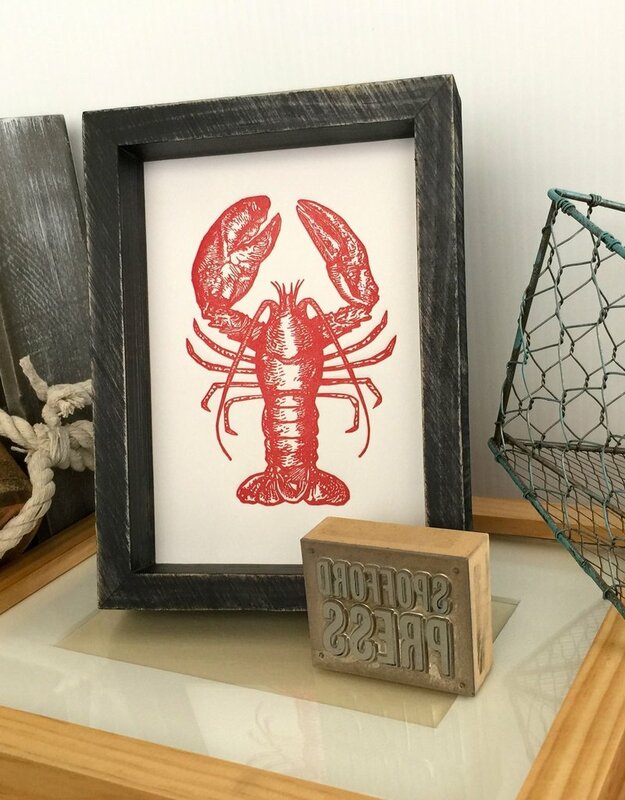 This Lobster was printed in rusty red ink on a 5x7 in. piece of heavy 110lb cotton paper so it pops right into a standard frame very easily! The prints are signed in pencil. Each print is slightly different, as they are each hand-inked one at a time. Printed by Spofford Press here in Rhode Island!